Where Is The Fountain? : Rise, or: How We Start a Revolution. Rise, or: How We Start a Revolution. Half opened eyes would be open enough to see that the world is suffering. News cycles repeat the same harrowing stories over and over again. From tornadoes, to terrorists, and all things in between, we don’t have to go looking for stories of pain and suffering. Those stories find us. And while the stories on television or the Internet cause distress, pain, and grief, such suffering may still feel distant, the suffering of ‘the distant Other’, the suffering not encountered in our midst. 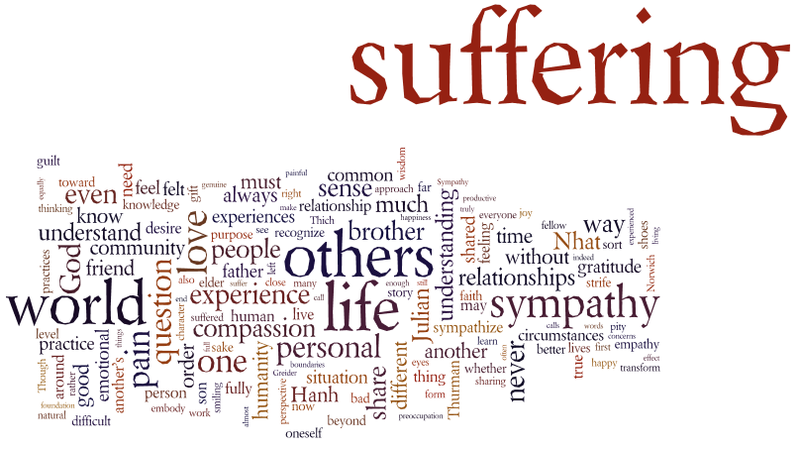 But bring to mind, for a moment, the suffering you’ve encountered. We see it and encounter it in many forms: cosmic, global, national, local, personal. From wounded creation, global warming, and the persistence of war, to the poverty of those in our community, or the deep wounds of depression felt at the core of who we are. We, the people of God, encounter pain in all its forms without seeking it out. Often, it comes to us, unsolicited, undesired, unrelenting nevertheless. These unsolicited encounters certainly happen in the places we might expect: hospitals or doctor’s offices. But, unsolicited encounters with the suffering of the world often manifest themselves at inconvenient times and in unexpected places: the aisle at a grocery store; in the middle of a cocktail hour; or even during a morning jog. Though Jesus wasn’t going for his morning jog, he certainly encountered suffering when he wasn’t expecting it. Nain, the setting of our Gospel, is a place of obscurity. A city mentioned once in Scripture. 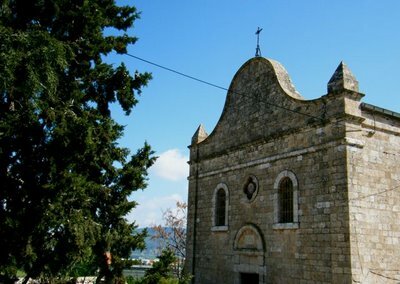 A church was built there during the Crusades, but even today only two thousand people live there. It’s not a high profile place, but here the Lord encountered the despair and death so common to all places at all times. As he approached the gate of the town, no agenda named, no particular mission declared, Jesus encountered a funeral party, a large crowd of people surrounding a grieving widow, not grieving the death of her husband, but the death of her son. Being a widow in the First Century, this woman had no husband to provide for her, no husband to offer companionship or protection. No partner to bear the burden of the grief over her son’s death. With the loss of her son, her only means of stability, security, and health vanished. She was truly destitute, and lost to the world. She was truly claimed by the suffering of the world. Like Jesus, we encounter the pain and despair of the world wherever we find ourselves. Big city or small town. Penthouse or public housing. All of us know where to find the broken and hurting of the world. Some of us in this place today may be beaten down and nearly broken ourselves. And when we do encounter this desperation, despair, or death, how do we stand up to it? How do we live in the face of this pain? By first resting in the gentle yet powerful compassion of Jesus. The compassion we see lived out by the raising and restoring of the son. The compassion rooted in the incarnation as God’s coming alongside of the human race. Though the Gospel doesn’t declare that Jesus ventured to Nain specifically to heal, his continued approach toward the grieving woman reminds us that Jesus is not one who remains at a distance. Jesus is one who ‘moves into the neighborhood’ as it were. The incarnation is God’s coming alongside of us, living with us, within our midst, and this story illustrates just how profound, even in the middle of a simple walking journey, Jesus’ life and ministry is. 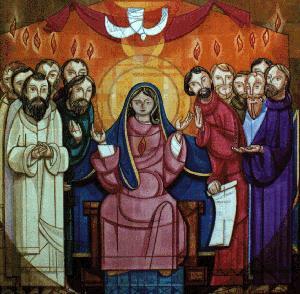 His approach towards the woman, of his own volition, is how Jesus ministers to us, even today. He’s here, he’s next to us, and he’s alongside of us. Not forcefully, but compelled by compassion. The compassion to reach out a hand of love, a gentle hand of comfort. Even at our most despairing moments, even when we may feel as if we have reached the bottom of the pit, death being the only place left to journey, Jesus meets us, pausing to touch and heal. In the story, notice that no one asked Jesus to raise the boy to life. The mother didn’t wail and scream and fall on her knees before the Lord. Rather, moved with compassion, Jesus stopped walking, came alongside this grieving woman, and gave her back her life, livelihood, and that which she loved. But even in the simplicity of his compassionate response to this grieving woman, there is something bold and powerful at work. What does it take to look at something wounded, dying, or dead and declare ‘Life’ in the face of such despair? A divine conviction, an assurance of the power of God to do what God has always done…for we must never forget that God is indeed in the business of resurrection. It is true that what we face, the death and despair that we bear witness to, causes great grief, and appears to be an insurmountable army unable to be conquered. 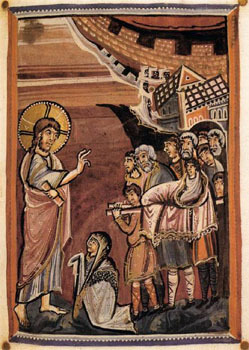 But the witness of the saints, the witness of the Church, and most importantly the witness of Jesus himself illustrates that even those unbeatable forces will eventually fall in obedience to the one who rules with grace and mercy, exemplified so wonderfully in the compassionate restoration of this dead man to his grieving mother. In the face of impossibility, Jesus declares possibility. In the face of death, Jesus speaks true and abundant life. And he doesn’t just raise this man to abundant life once, as if his restoration was a single, isolated moment in history. The Greek word translated “Rise” could properly be translated “be being roused.” A bit cumbersome in English, but such a translation reveals a deeper truth and reality to the resurrection Jesus offers. Resurrection is not a onetime event, a single moment in time, an isolated historical event. Jesus calls this man to be being roused, to constantly live in the moment as one who is continually being roused, continually raised up into new life, continually moving from glory to glory. For a life lived in Christ, basking in the glory of his resurrection, is a life that continually unfolds and invites one deeper into the mystery of God. My friends, we bear within us the same Spirit that raised Christ from the dead. Go into the world, then, and declare life when you see death. With compassion, reach out a healing hand of restoration. Remember that God has always been in the business of resurrection. May your life be a transformational conduit of such power.